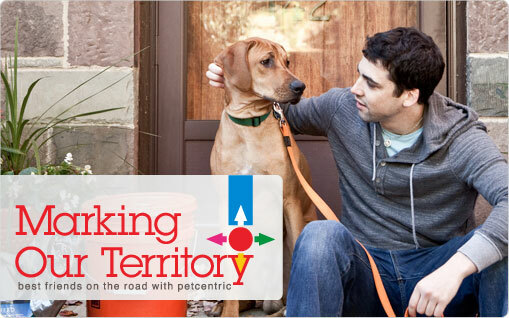 Attention Austin boosters -- like we need to toot the horn anymore -- connect with the folks at petcentric.com to enhance Austin's pet-friendly rep.
Hi, my name is Will, and the handsome gentleman next to me is Mr. Eko, my Rhodesian Ridgeback. We make a pretty good team; Eko has the brains, looks and personality, and I provide the driver’s license, credit card and comedic relief. Like any good team, our team has always had a goal – to find adventure. Eko and I love exploring new places, meeting new people and seeing what the world has to offer. Unfortunately, traveling with your dog can be a hassle if you’re not prepared. That’s why Petcentric.com is sponsoring our journey to find the best pet-friendly destinations in America. Eko and I are traveling from city to city to show that not only can you travel with your pet, but you can do it in style. About Will: Will grew up in South Orange, New Jersey, and due to his freckles he spent the majority of his childhood being confused for his family’s Dalmatian, Indiana Bones. It was only fitting that Will’s first ambition was to follow in the footsteps of his dog’s namesake, Indiana Jones, and become a great adventurer. Unfortunately, Will soon discovered that archaeology involves a lot more monotonous research and a lot less jumping out of planes than is advertised in the movies. So instead of becoming an archaeologist, Will turned to writing to combine his passion for adventure with his love of storytelling. 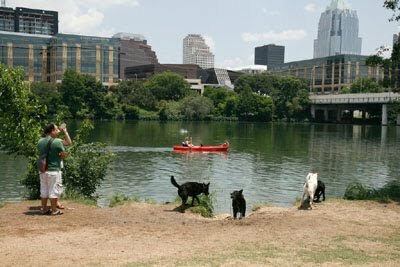 Dogs are the ultimate explorers and Will is ready to hit the road with Eko to find the best dog-friendly adventures America has to offer. About Eko: Mr. Eko, a Rhodesian Ridgeback, was named after Will’s favorite character from the TV show LOST. Will originally planned to name his first child Mr. Eko, but luckily for Will’s future wife, he got impatient and gave the name to his new puppy instead. It is widely accepted that Mr. Eko is the smarter, better looking and more talented member of this duo. Ridgebacks are allegedly fearsome lion hunters, but Eko must have cut class that day because he is extremely playful and friendly. Like Superman, Eko is solar powered and you can always find him basking wherever the sun shines brightest. Eko loves exploring new places and meeting new people, and he is even kind enough to let Will tag along.